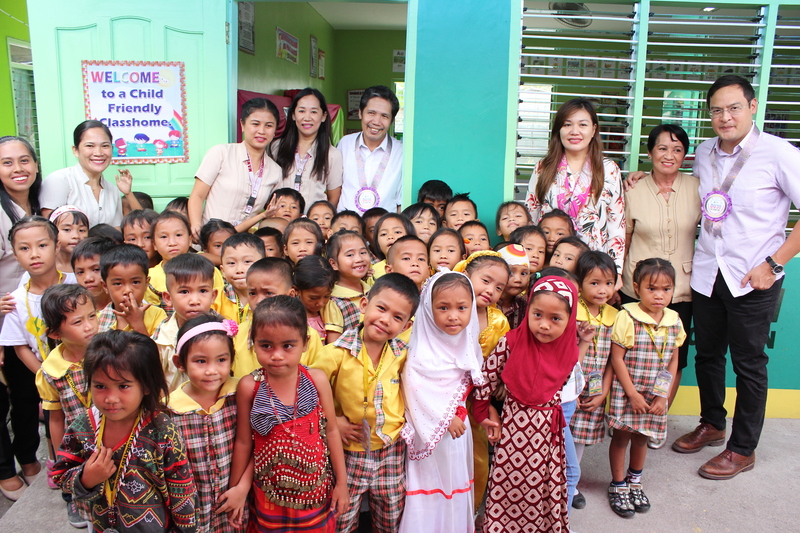 Alsons Power’s Sarangani Energy Corporation (SEC) recently inaugurated the first President Du30 Early Learning Center located at Mangelen Integrated School at Barangay Kamanga in Maasim, Sarangani Province. The two-classroom building donated by SEC which has a 210-megawatt coal-fired power plant in the area will cater to kindergarten students from host and nearby communities. Each classroom that can accommodate 40 to 50 pupils is equipped with a television and other visual aids, illustrated children’s books written in Blaan with English translations, and other learning materials. Alsons Power, through the Alcantara Group's Conrado and Ladislawa Alcantara Foundation, Inc. (CLAFI), continues to support host and surrounding communities through its corporate social responsibility (CSR) projects centering on education, the environment, and community welfare. Madame Cielito “Honeylet” S. Avanceña (third from right) graced the turnover ceremony. Also, in photo are Mangelen Integrated School principal Cleofe Quintana (second from right) and former Sarangani Governor and now Alsons Aquaculture Corporation Chief Operating Officer Miguel Rene A. Dominguez (rightmost).